If you have stopped by this week hoping for a walk-in appointment, then you know that the center is busy! 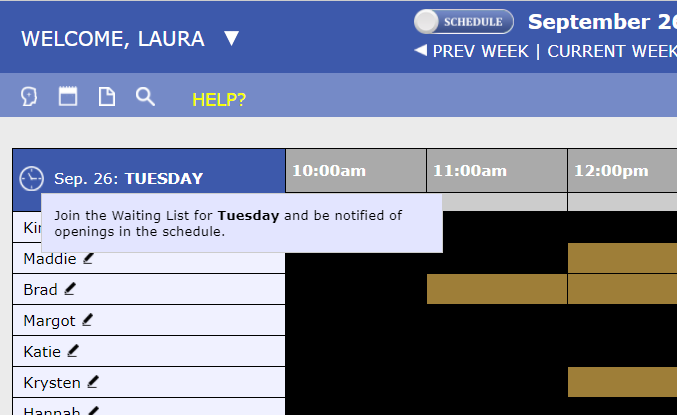 A great feature of our website is the waiting list. To add yourself to the waiting list, find the clock icon underneath the date. From there, go ahead and join the waitlist. 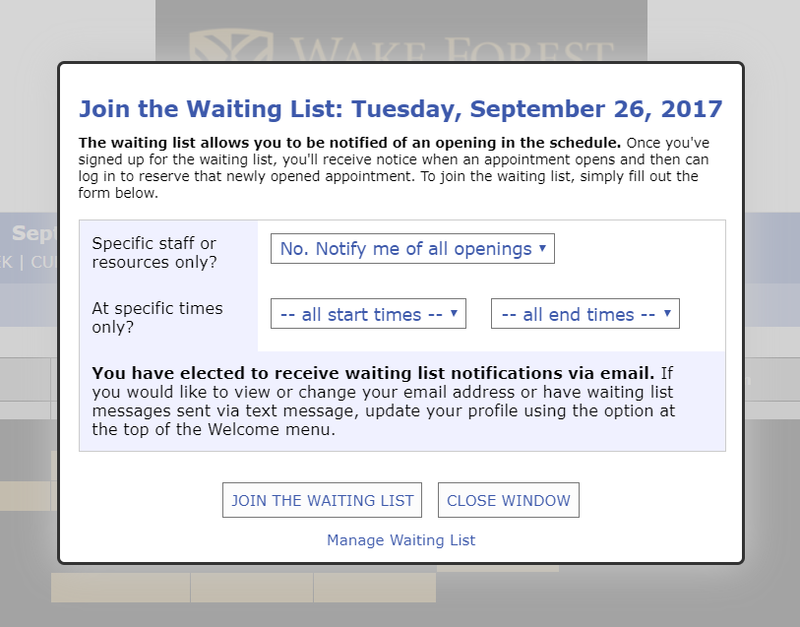 You will get an email letting you know when an open appointment becomes available. There might be a few folks on the waiting list for that day, so if you get notified, make sure to log in and sign up! If you have any questions, you can always email us at writingcenter@wfu.edu.